It has taken us a little bit of time to get this one together (my fault! 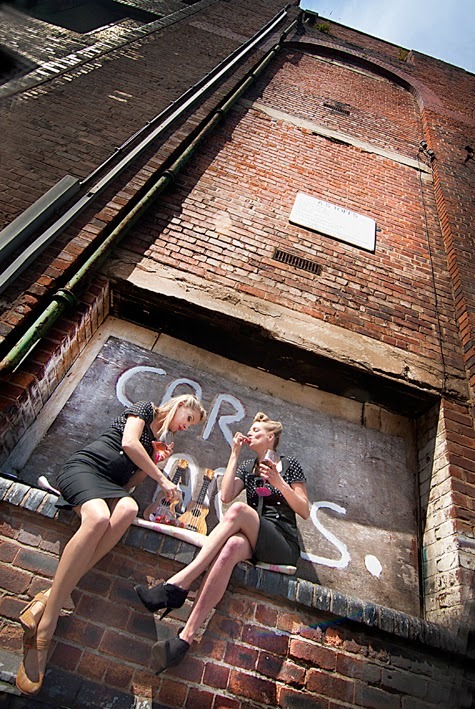 ), but I have been wanting to feature the Mersey Belles on Got A Ukulele for some time now. 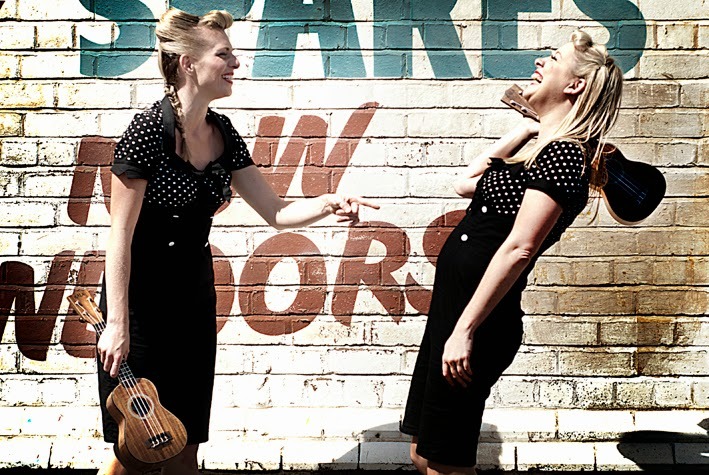 Amber Von Nagel from Ukulele Magazine called them, 'English Uke Chanteuses who channel a retro vibe in pursuit of modern day fun'. What I know is that I last saw them on the main stage of the recent Grand Northern Ukulele Festival and the crowd went wild for them. I have been catching up with the duo recently. Hi both, lets start with your musical backgrounds. Pearl: I have played musical instruments since I was about six from piano to guitar. I have also been a singer since I was 12 in choirs. My mum has been a massive influence on me as she is the musical inspiration in my life. She's a music teacher and a piano tutor. I love music; it's good for the soul! Nancy: Well I have been playing music for as long as I can remember. My mum also was a grade 8 pianist and played a lot as I was growing up. I also played classical flute and piano and had lessons in both. When school was over I went to Bretton Hall, a college for arts where I studied music and learned to play a little bit of guitar and steel drums. The rest is history really. I had a short break from music when my daughter Nancy Jr was born, but it was short lived. I'm not happy if I'm not being musical. What brought you together as a performing duo then? Nancy: We have a couple of mutual friends in the Liverpool music scene, and it was Elaine Kinsella from Ukulele Club Liverpool who formally introduced us. Pearl: Yes in early 2013 Elaine received an email from a Jennifer John who runs a company called Sense of Sound in Liverpool. She was asking if she knew anyone who was playing the ukulele who would like to join a duo. The message was passed on to me, I emailed Nancy and here we are today in 2014 - bigger and stronger than ever! 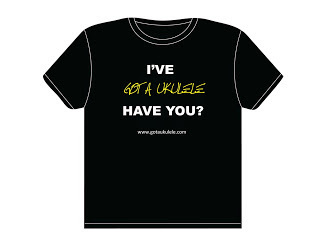 So was it at Ukulele Club Liverpool where you started playing then? 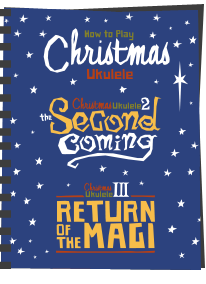 Pearl: I first picked up the ukulele in September 2012 with a group of friends from a choir I was in at the time. 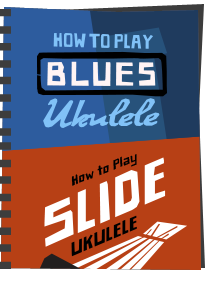 I was self taught and transferred my skills from the guitar to the ukulele. I then supported Elaine in forming the UCL and played with them for about two months. A question my blog readers are always interested in. 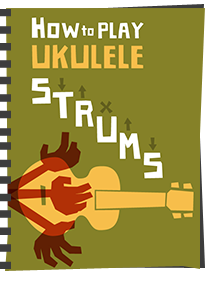 Tell me about your ukes and what you are playing today. Pearl: My first ukulele was a £30 soprano from a Liverpool music store called Curlys music. It was a Redwood brand. 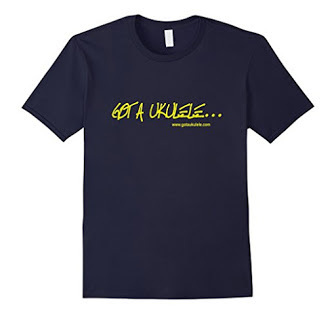 We now have brand spanking new Kala SEME ukes following our endorsement by the brand. They are electro acoustics and we have been waiting so long for them to come out. Beautiful instruments. Nancy: My first uke was a Kala KA FMS904 and it was a gift from Ian McNabb (the front man for The Icicle Works) in return for singing on his album 'Little Episodes'. I think that was about March 2012 but don't quote me! It's the nicest uke I've played and I still play it most days. I'm going to sound like an advert for Kala now but they are what I have always played. I have a Kala tenor KA-JTE/2TS (the one with the F holes). We also both have Kala sopranos (the KA-ASAC-S) and I also have an iUke which I LOVE. OK, so you met, got together, but when did you first perform as The Mersey Belles? Nancy: My old music manager used to own a little coffee shop in Liverpool. He had heard about us and asked us to do a weekly residency there. It was a good way to start out actually, now I think about it. Nancy: We did have great receptions back then, but we have really perfected our act in the last 18 months. We have developed so much as players. Pearl: It was great getting that coffee shop residency. It provided a great platform to where we are now as performers. Tell me about your gig highlights. There must be a few! Pearl: Every gig we have ever done is so special in my eyes and they are all equally amazing. Just getting up on stage and being a Mersey Belle for me is the highlight. I love the audience reactions and i've found at the most recent gigs people are now singing along to our versions of the songs we do. Awesome! Nancy: You know what? Pearl is right. We have done so many awesome gigs it's hard to pin point one. But I will, and that was our recent performance at GNUF. We have been playing all summer in preparation for that gig and all the hard work paid off for us in the end. Best gig I have ever done I think. We absolutely loved the whole event, workshop and all. Within my readership are a lot of players taking steps to getting out and performing. What are your best beginners tips for stage performance? Nancy: One tip from me is to try and not take yourself too seriously. Obviously me and Pearl DO take our music seriously, but we are doing what we do because of the love of it and to have fun. I think it's important to always remember that. Pearl: Be prepared, be organised, and lastly, get up and love what you are doing. It comes across when you are on stage. I can agree with all of that! But what about nerves though? We all get them! Pearl: I get terrible nerves. Even though I'm a confident person it is still really nerve wracking performing to large AND small audiences. But as soon as I get on stage and look at Nancy I forget those nerves and sing my heart out! Nancy: I do get nervous, yes, but not as much as I used to back when we first started. My problem with my nerves is that it's my uke playing that suffers, not my singing. 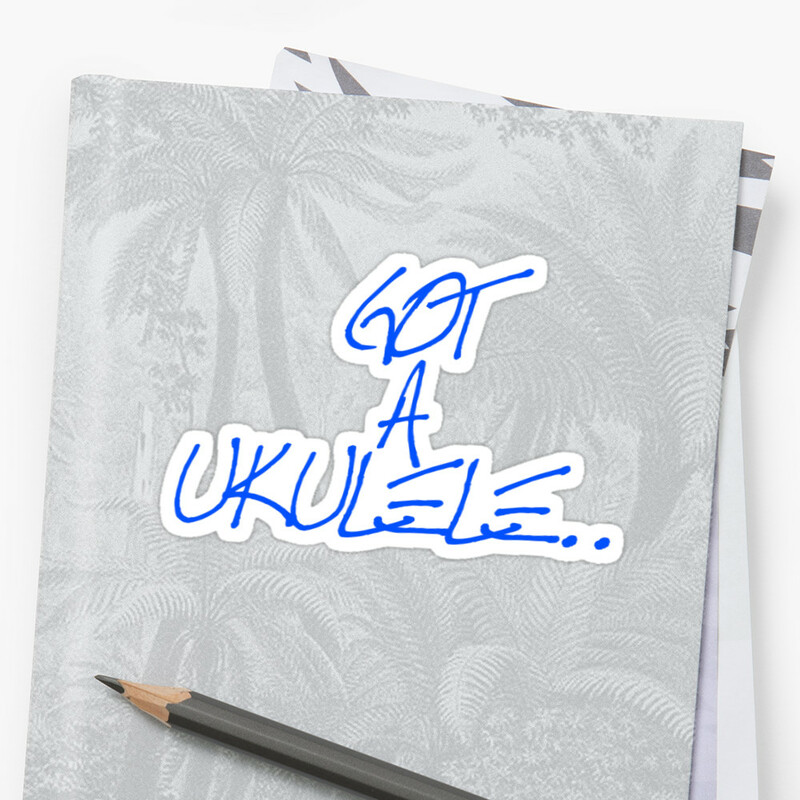 I've been a professional singer for a good few years now and only playing the uke for a couple, so that's probably why. Lets look to the future now. Is the duo model the one you intend to stick with? I know you have collaborated with other bands in the past. Pearl: Personally, I love the duo concept, but we also love collaborating with other uke groups and bands and sharing the love of the ukulele. Nancy: Yeah, we are just Nancy and Pearl and that's the way we are gonna mainly keep it. But we do like to have the odd collaboration. We recently had a 'band' play with us at the Summer Strum festival where we had a uBass played by Steve from UkeBox, Elaine from UCL on cajon and Sophie Gray playing accordion. We loved every minute of it and the sound was so full and rich. But for me i'd like to save the collaborations as one offs. That way you appreciate them more I think. 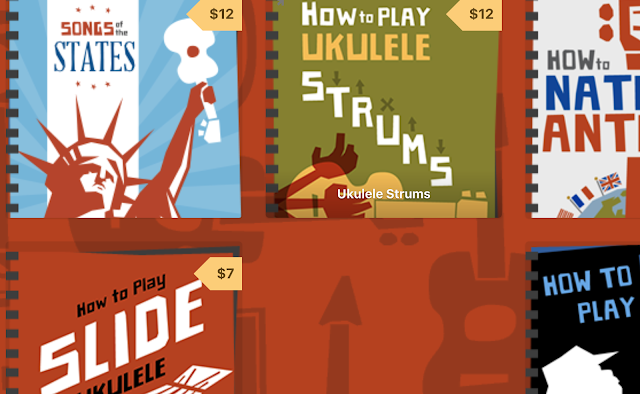 Who really impresses you in the ukulele world today? Pearl: We were at GNUF as we said, and I enjoyed all the performers. I was really impressed with Tricity Vogue and Zoë Bestel. Nancy: I have to keep with the girl theme too with Danielle Ate The Sandwich. I like her style a lot. And of course, Sarah Maisel who I fully intend on watching at next years GNUF. I think one of my favourite players though is our mate Ukulele Uff. I've had a couple of lessons off him and I intend on going back as soon as we have a spare minute! So what is next in the diary for the Belles? Grand And Newton Ladies Guild at West Kirby on 18th December.